The U.S. is the largest undeveloped wind market. Interferry brought out the rock-stars of the global ferry market. 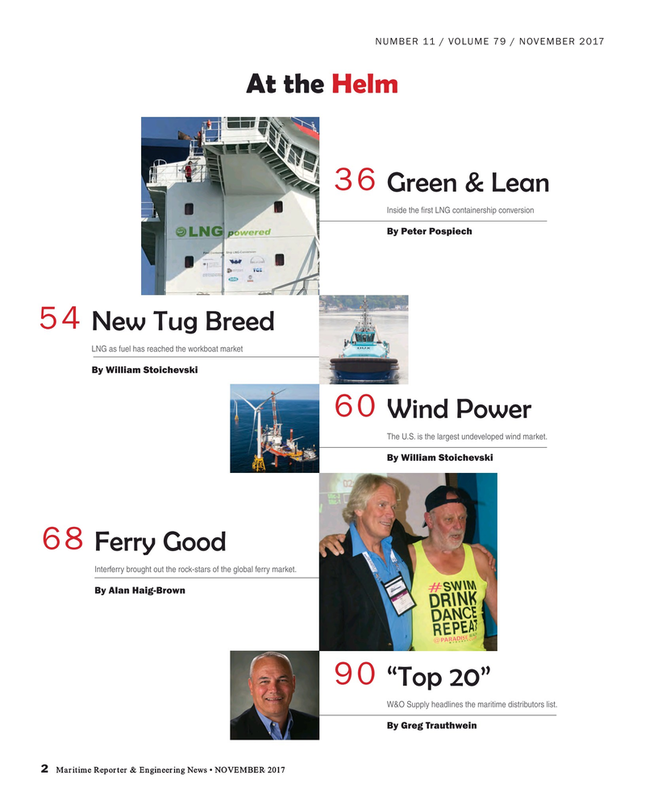 W&O Supply headlines the maritime distributors list.